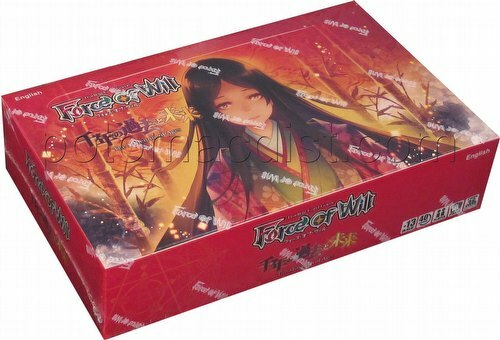 Force of Will: Millennia of Ages gives players a glimpse into the past and future. The set consists of 25 future cards and 25 past magic stone battle cards. In the past cards, before becoming the Immortal Princess, Princess Kaguya and the Six Sages get together. In the future cards, you may see a bit ahead of the peaceful future and the foreshadowing to the next Cluster. Every pack includes 10 random cards (of the 55 in the set). Including parallel cards there are 115 different cards.